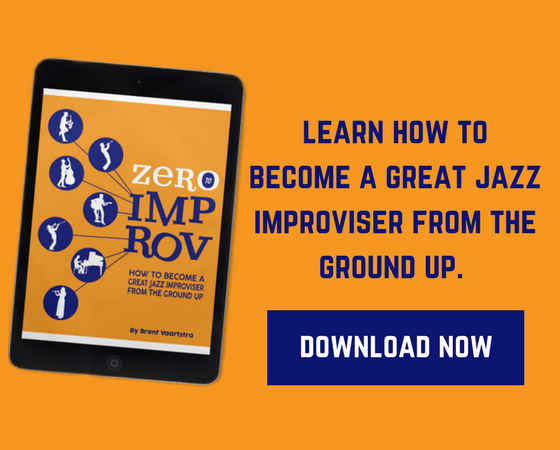 Making improvised lines truly swing is one of the biggest challenges jazz musicians face at all levels of their musical development. It doesn’t matter if you’re a seasoned pro, a young player just starting out, or a hobbyist – we all want our music to be rhythmically compelling. We want to be able to swing hard. We want to be able to make music with such a deep groove that people can’t help but move their bodies when they hear us play. As jazzers, we have all sorts of words and phrases we use to describe the special moments when our improvisations achieve an exceptional sense of time-feel and a certain rhythmic sparkle: we say the music “grooves,” is “in the pocket,” “swingin’,” is “locked in,” “clicks,” “dances,” “flows,” etc. That being said, no matter how challenging it may be to define, conceptualize, and practice swing, the truth is you have the power to improve your sense of time, time-feel, rhythm, swing, and phrasing through concerted effort. Don’t let myths like “you can’t teach swing” and “you either have good time/phrasing/rhythm, or you don’t” deter or discourage you from achieving your rhythmic goals. Rhythm is a HUGE topic, and there’s no way I or anyone else could address all there is to say and practice in one post. 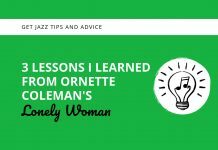 However, I want to show you three practicing tools and improvisational strategies that will instantly help you take your playing to the next level rhythmically. By drawing your attention to three aspects of rhythm, you will be able to more easily generate swingin’ lines and play with a better time-feel. 1. Internalize, visualize, and play off of 8th-note triplets. The rhythmic feel we call “swing” certainly is elusive and hard to define, codify, and conceptualize. Early musicians trying to notate jazz in the first handful of decades of the 20th century would sometimes notate swing 8th notes using dotted-8ths and 16th notes. I challenge this assumption (see the musically notated examples below), as have many other people in the past. What more closely approximates the truth is a triplet-based model of swing feel. In other words, jazz is all about the 8th-note triplet. If you want to approach a more “authentic” swing feeling in your jazz playing, you need to address the triplet feel that gives swing its characteristic “bounce,” and you need to become aware of and internalize, visualize, and exploit jazz’s polyrhythmic elements. Further, in the latter decades of the 20th century, consensus has slowly emerged among many scholars, musicians, and jazz aficionados that many rhythmic characteristics of jazz, including swing, are the result of the influence of West African music on jazz. Jazz is inherently polyrhythmic, and the cultural preference for polyrhythms can be traced back to African practices that both influenced jazz directly and informed the musical precursors to jazz. The polyrhythms that abound in jazz involve the mixing of duple and triple rhythmic feels. In a typical straight-ahead jazz performance, the bass player outlines the chord changes using quarter-note walking bass lines while the drummer plays triplet-based (or you can think of it as 6/8 or 12/18) rhythms on the ride cymbal. The drummer’s other activities, as well as the rhythms played by soloists and other accompanists are likewise based on a mix of triple and duple subdivisions. Swing feel arises at least in part from tapping into the triplet or 12/8 feel and exploiting all of the polyrhythms, rhythmic tensions, and various ways of breaking up the beat that are possible when a triple-meter subdivision is superimposed on a duple-meter rhythmic foundation. This is not to detract from or deny the fact that everyone will place their swing 8th notes in a slightly different way– perhaps somewhere between a pure triplet-swing and strict straight-8th feel. This is a good thing! Part of what makes swing special is that, though it is almost universally understood to arise from polyrhythmic use of a triplet time feel inside a duple meter, everyone has their own slightly different rhythmic “voice” – their own approach to making swing happen. Start paying close attention to the various ways players phrase and place their 8th notes and 8th-note triplets as you continue to listen to your favorite jazz performances. 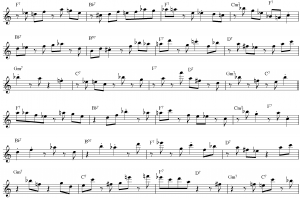 Players can swing in different ways: some play “on top (or ahead) of the beat” which usually creates high-energy forward momentum (think: Charlie Parker’s hard-driving rhythm sections playing an up-tempo bebop tune). Some jazzers play “behind (or on the ‘back’ of) the beat” which creates a mellow, lazy, and lilting feeling (think: Dexter Gordon playing a medium-to-slow-tempo blues). And some musicians play “on (or in the center of) the beat,” which makes the music feel tightly locked in and “groovin’” (think: Count Basie’s rhythm section). It is also important to note here that certainly the 8th note feel of jazz lines tends to straighten out as tempos increase, which is natural since it allows the music flow better. Regardless, by tapping into the triplet subdivision and becoming aware of the inherent polyrhythmic aspects of jazz, you will automatically increase your rhythmic prowess and improve your time-feel when playing swing 8th notes. 2. Start and end more of your phrases on upbeats. It sounds so simple (and on some level it is), and yet it is so profound and will elevate your rhythmic playing immensely. 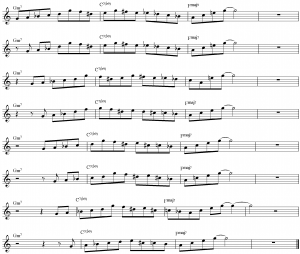 Many scholars, musicians, and aficionados have reached a consensus that one of the rhythmically defining features of jazz, which is closely related to the polyrhythms and triplet-emphasis discussed above, is the prevalence of syncopation (which simply means accenting any part of the measure that is not considered a traditionally strong “downbeat” within the meter). On a quarter-note level, drummers (and by extension everyone else) tend to syncopate by emphasizing beats 2 and 4 as opposed to 1 and 3, which is the case in much classical and rock music. On the 8th-note level, jazz masters tend to emphasize upbeats. By drawing your attention to the syncopated spirit of jazz, and by consciously making an effort to start and end more (if not all – at least as an exercise!) of your lines on upbeats, you will automatically sound more rhythmically “hip,” mature, and swingin’. Again, start paying close attention to how your favorite players use syncopation, and look at where/when they start and end their lines to give you a model for how you can start adding variety to your own phrases. Here’s one example of how you can apply this concept by turning it into an exercise: take a II-V7-I melody and try displacing it so it starts and ends on various upbeats (see the musically notated examples below #3 for a visualization of what I mean). By combining, varying, and contrasting this approach with #3 below, you will instantly improve the rhythmic quality and depth of your solos. 3. Vary the beat(s) you start and end your phrases on, and vary your phrase length. Part of what makes jazz emotionally and expressively effective and exciting is a balance between contrast and uniformity, between predictability and surprise, between homogeneity and heterogeneity. Great players can continually surprise and delight listeners and other musicians by varying their phrase length and by varying where they start and end their phrases rhythmically. But phrase length often actually is somewhat of a stealthy phenomenon. On a deeper level, phrase length is often a very subtle detail that musicians and listeners don’t often consciously think about or notice. But a phrase’s length, starting point, and ending point all have a great subconscious impact on the flow of the music, and therefore influence the emotional imprint of the music. Part of the freedom, joy, excitement, looseness, and fluidity of jazz music comes from asymmetrical phrasing that liberates performers and listeners from feeling boxed in by rigid, repetitive phrase structures. You can achieve variety in your phrasing by starting and ending lines on different beats within a given measure; in other words, don’t always start and end your phrases on beats 1 and 3, for example. Likewise, become aware of and then try to consciously vary your phrase length. Instead of always playing 2, 4, 8, 16 etc. measure phrases, try playing phrases that are 1, 3, 5, 7, 11, or even 1.5, 3.25, 5.75 bars long. At first you will have to consciously think about and practice varying your phrase length, but as you grow and advance as a player, it will become more natural and automatic. 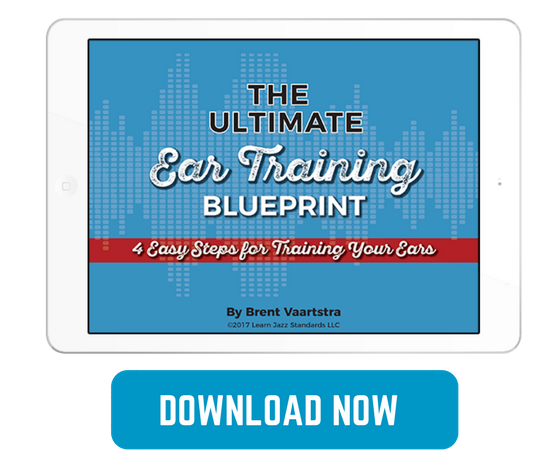 You’ll develop a more complex, subtle, and expressive approach to musical phraseology – you’ll start to hear (imagine, invent, create) varied phrases with organic ease. 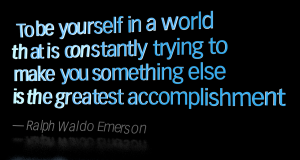 But you have to think about it and practice it with awareness and focused attention first. 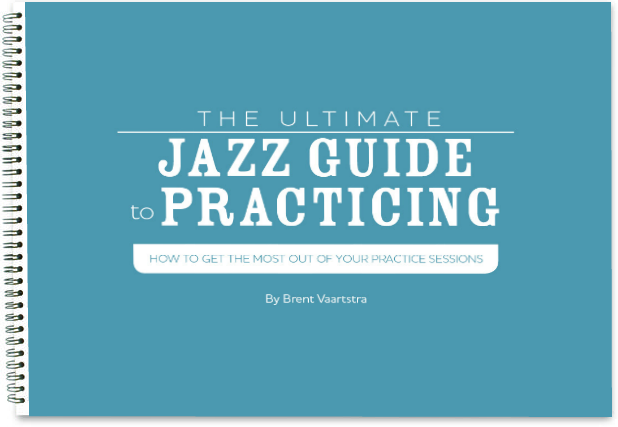 And, as always, pay close attention to the various phrase lengths your favorite jazz musicians use for some cues and inspiration. Happy practicing, and I hope you’re now inspired to think about, listen to, and practice rhythmic phrasing with more depth and variety! really helpful, thanks from France! Very nice! Thanks from Brazil. You're welcome – thanks for reading and supporting LJS!